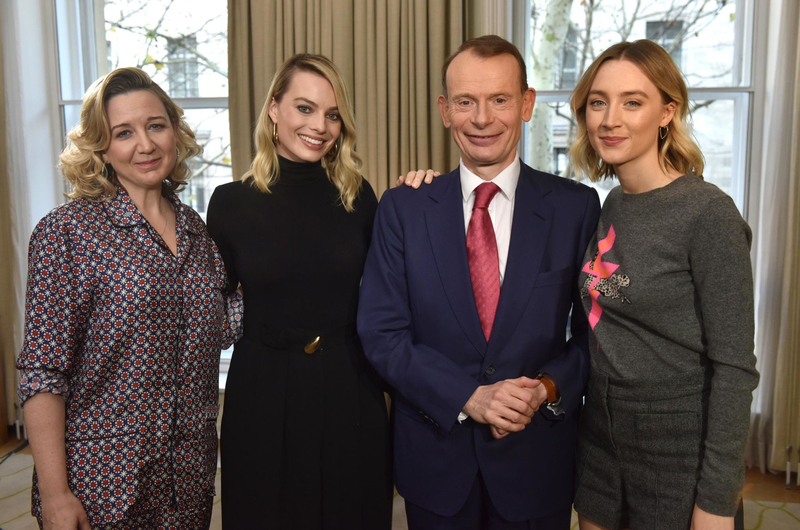 Back on Sunday, January 06 Margot and Saoirse Ronan were guest at The Andrew Marr Show in London for promoting Mary Queen of Scots. Few stills from the episode have now been added to the gallery, and below you can also watch a bit of their interview. Enjoy! 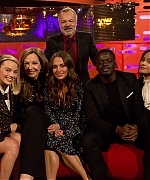 Last night (February 16) Margot was guest at the famous UK talk show ‘The Graham Norton Show’, together with her I, Tonya co-star Allison Janney, Alicia Vikander, Daniel Kalluya and music guest Camilla Cabello. Below you can watch some videos from the episode, and in the gallery you can find some photos taken during the show. 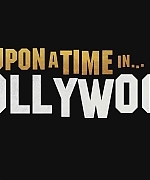 Be sure to check them out and enjoy! A behind the scenes look at the making of “Peter Rabbit” shows how James Corden, the voice of the animated lead character, went unnecessarily method for the role, undergoing an operation and taking on an insane diet that really scared off his co-stars. Fellow co-stars James Corden and Margot Robbie ask Domhnall Gleeson about heading to Australia to shoot “Peter Rabbit” — an experience James and Margot didn’t have only voicing characters — and learned Domhnall had a fierce battle against the sun and heat. 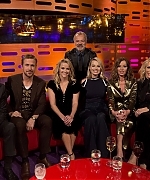 James asks Margot Robbie about all the accolades for making and starring in “I, Tonya” and learns Margot brought Tonya Harding to the Golden Globes and couldn’t have been more comfortable among Hollywood’s biggest names. 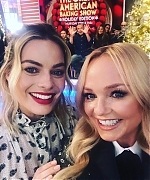 Last night, Margot visited Jimmy Kimmel Live with Chris Pratt as the host. Margot was looking super great, as always! Check out some episode stills in the gallery as well as the interview below. 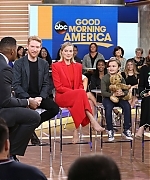 This morning (November 30), Margot visited Good Morning America to discuss her latest film I, Tonya! Margot was looking gorgeous wearing a mini dress by Givenchy. Photos from her talking with the hosts as well as Margot posing outside the studios have been added to the gallery. More to be added to the gallery soon! This morning, Margot made an appearance on Good Morning America. She talked about I, Tonya as well as her upcoming film Goodbye Christopher Robin. Margot looked beautiful wearing a Versace top, jacket, and skirt. 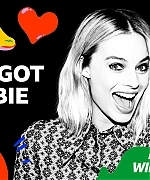 The gallery has been updated with photos of Margot arriving at GMA, as well as some stills from her interviews. 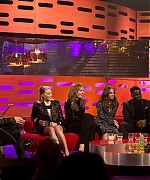 Margot was guest at The Graham Norton Show last night (Septmber 29). We’ve added in the gallery some stills from the episode! She looked really cute wearing a Oscar de la Renta cold shoulder knit wool and wide leg cotton twill trousers (thanks to DressLikeMargot for the infos!) Not my favorite outfit of her I must say, but she always look good in everything! 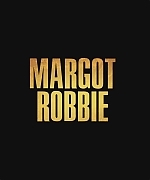 Margot Robbie TATTOOS One of the Production Staff!